Matt joined the Eagle Jazz Band in 2004 at 47 he is still considered one of the younger musicians playing traditional jazz in Britain today. He started learning clarinet at the age fifteen having become a keen jazz fan through listening to his father’s records, which included sessions from the 50’s and 60’s by Chris Barber, Alex Welsh and the Dutch Swing College Band. His first experience of playing jazz came in 1988 when he started to sit in with a few bands that played in pubs around the Nottingham area. In 1990 (at the age of twenty) Matt formed the ‘Knights of Jazz’ who enjoyed a great deal success in the early 1990’s. Matt’s full-time career in music began in 1995 when he became a member of the resident jazz band at Alton Towers theme park, Staffordshire and became bandleader in his final season (1997). During his time there he worked many of the countries leading traditional jazz musicians including Pete Brown, Terry Brunt, Mike Dexter and Arthur Brown. When the theme park contract came to an end Matt formed the Millennium Jazz Band who became firm favourites in several leading jazz venues. Other activities have included several visits to Puerto de Mogan, Gran Canaria where Matt hosted star-studded jam sessions featuring musicians appearing at the jazz festival held on the island. These sessions have included such notables as the late Kenny Baker and clarinet star Pete Allen. Pete is a renowned Midlands musician having held the trumpet chair in the Eagle band since 1979.His musical career started in military service with the North Staffordshire Regiment. On his return to civilian life he joined Stoke-on-Trent’s premier band The Ceramic City Stompers. He then spread his wings to join the famous Manchester band the Zenith Six. Five years later he left to join the Old Fashioned Love band. 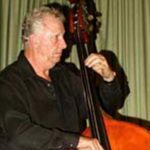 In 1969 he decided to form his own band The Mardi Gras Society Jazz Band which enjoyed great success throughout Europe backing many famous visiting American jazz greats including Bud Freeman Gene Connors and Wild Bill Davidson. During his career he has also been band manager at the Alton Towers and American Adventure theme parks. Born 1942 at Evercreech, Somerset, a village staging post for many WW11 troops including USA soldiers and their music on route to Europe. Terry grew up with local bands, playing drums and piano to that music. Jazz and Swing became firm favourites, drumming and piano at 5yrs and trombone at 12yrs with the Wincanton Silver Youth Band. Teen years included singing and playing rock’ n’roll. At 16yrs he was an original member of The Tone Valley Jazz band, Taunton and still is. 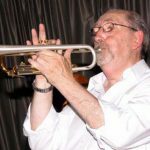 His music has taken him to many parts of the world (USA, Denmark, Holland, Gran Canaria, France) playing with many bands including, Beachcombers International, Heart of England, Phil Mason, Armada, Riverside, Guy Fenton, Blue Notes, Cass Casswell All Stars and many others. He has been on stage along-side Nat Gonnella, Kenny Baker, Don Lusher, Jack Parnell, Kenny Ball, Digby Fairweather and Beryl Bryden. 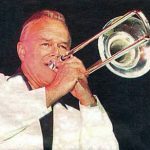 In 1995 he played the New Orleans French Quarter Jazz Festival week with Acker Bilk and Tommy Burton, and the three of them led a band in Saturday’s Big Parade. From 1982 to 92 he managed and played with the US 76 th Army Band concerts in the UK. Now also playing vibes he looks forward to playing trombone, singing and giving much pleasure as part of The Millennium Eagle Jazz Band. 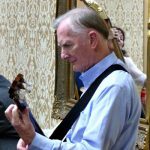 Brian started to play bass in a Small dance and Big bands, then Rock & Roll onto skiffle then an old time sequence band which was the hardest working band he has ever played in. His first jazz band, The Three Spires Jazzmen was in 1960, then on to the strangely named Duff Campbell’s Goodnight Band where he first met Mike Turner. After this he joined the Zenith Hot Stompers leaving them in 1971 to join Pete Browns Mardi Gras Society Jazz Band. When this band ceased in 1980 he renewed his ties with Mike Turner to form the band which has become Swing Parade, leaving in 1991 to join the Cutty Sark Band which he left in 1996 to join the Eagle Band. The Eagle Jazz Band founded in 1951 delighted audiences worldwide for an amazing fifty-four years, one of the oldest formed bands in the UK. The Band sports a healthy combination of youth and experience, Pete Brown (trumpet cornet and valve trombone) and Brian Lawrence (Bass and Sousaphone) were both long serving members of the original Eagle Jazz Band after initially forging their musical partnership in the Potteries based Mardi Gras Society Band during the 1970s. 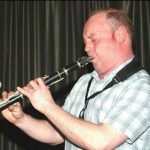 Matt Palmer (clarinet & saxes) joined in 2004, having worked extensively with Pete at Alton Towers theme park in Staffordshire. Drummer Tim Jones has added vigour to the engine room to allow the band to fire on all cylinders when required, along with Brian Mellor (banjo and guitar) and Terry Williams (trombone drums vibes).The collective experience amassed by the current line-up includes top UK theme parks, river cruises cruise liners, major UK and European Jazz Festivals and Radio and Television broadcasts. The wide repertoire is drawn from popular songs from the 1920s, 30s, and 40s; Classic Jazz compositions by King Oliver, Louis Armstrong, Jelly Roll Morton Sydney Bechet and Duke Ellington plus New Orleans Marches, Rags, Stomps, Blues, Swing and instrumental features. All band members are multi-instrumentalists, enabling us to play a variety of different sounds and styles each played in a happy, entertaining manner, many featuring vocals. Whatever we play, the major priority is to entertain the audience but to always maintain a high standard of musicianship and presentation. The Eagle Jazz Band have made their mark in several UK jazz clubs and at society functions where they are equally at home. The band are able to perform acoustically and therefore are suitable for outdoor events .